A great combination of 4 government charts! Covers Massachusetts Bay from Provincetown to Beverly on one side, with details for Salem Sound, Scituate Harbor, and Manchester Harbor. The reverse side provides detailed coverage of Boston Harbor from Cohasset to Winthrop. A total of 19 GPS Waypoints are indexed and plotted. Large print place names make areas very easy to find. Information from NOAA Charts: 13275, 13267, 13269, 13270. WGS84-World Mercator Datum. 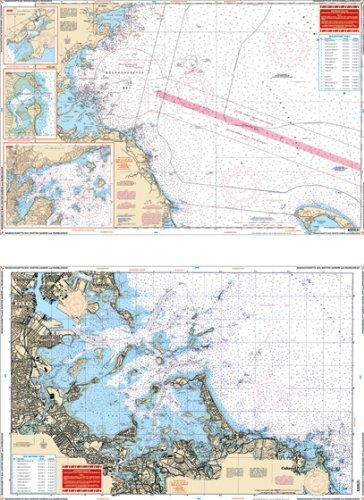 If you have any questions about this product by Waterproof Charts, contact us by completing and submitting the form below. If you are looking for a specif part number, please include it with your message.